Private resident-owned gated bundled golf community centrally located on Davis Blvd, just 10 minutes to downtown Naples and the beaches, 20 minutes to the Mercato in North Naples, and only 35 minutes to RSW Airport. Countryside real estate features 1,133 residential units, including 221 detached single family homes in seven distinct neighborhoods. Floor plans include three-story low-rise condominiums with common elevators, two-story verandas, and single family homes from 1,500 to 2,300 sq/ft under air. Purchase of a home includes full golf membership to Countryside's Par 70, 18-hole, Arthur Hills designed golf course. 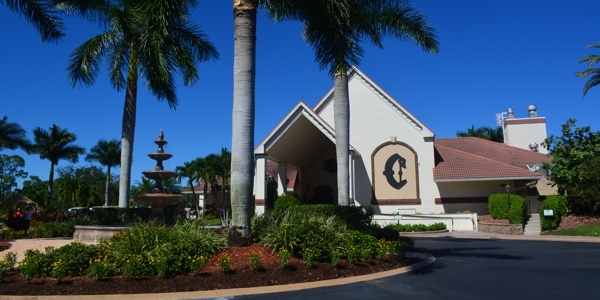 Amenities include excellent quality fine and casual dining service golf driving range, chipping area, and two practice putting greens, therapeutic resort-style whirlpool spas & heated pools throughout, fully equipped fitness center, nine tennis courts including three Har-Tru tennis courts and two bocce ball courts.